As a local security specialist you can rely on St.Albans Lock and Key to help protect your home and business. 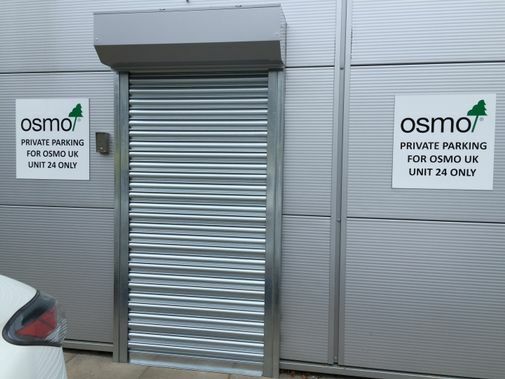 If you are looking for commercial, domestic or industrial shutters, we supply a bespoke service, so that you receive a product that will provide your property with privacy, secure access and a higher level of security. All our roller shutters are easily fitted to windows and doors with minimal usage of space. *Manuel spring and lock operated fittings which means the roller shutter can be fitted internally or externally where a key is used to lock and unlock. This lock is built into the shutter which allows the shutters to be opened/locked from either side. *Spring and lock shutters can also be installed inside or outside of the property and are easily moved by hand up or down. This type of lock is situated at the bottom of the shutter. *Electric operated shutters have motors within the side of the shutter and can be used with a remote, external key switch or internal rocker switch. *Domestic roller shutters are generally used for that extra security but still allowing easy access to the property whilst still looking atheistically pleasing. With the rise in burglaries and crime many people use our roller shutters as a deterrent or as a higher level of securing their property when they are away or the property is vacant for long periods of time. The shutters can be installed inside or outside of your property with the controls being operated from the inside with either a spring and lock system, electronically or with a swivel belt (like a window blind cord effect). What ever your level of security or design needed please do not hesitate to contact us for a quotation or to simply talk to us about your security needs. Call us on 01908 849526.